Find hotel near Basilica Nossa Senhora De .. This Roman Catholic Church was built in 1923 in Gothic Architectural style. Its figure is striking; it seems to leap for the sky from the ground. From the outside, it looks regal, stately. Its insides are beautifully decorated with mosaics and frescoes. The cross of the church is made of rock crystal. Also of significance are three statues of the Lady – one wooden, one plaster, and one on the high altar. Try and visit during mass. 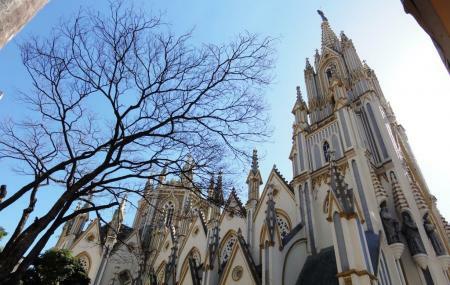 How popular is Basilica Nossa Senhora De Lourdes? People normally club together Memorial Minas Gerais Vale and Sesc Palladium Cultural Center while planning their visit to Basilica Nossa Senhora De Lourdes.